It has been a nutty past couple of weeks. I went back East for 10 days and travelled around four different states seeing friends and family. It was great to see everyone, but also quite exhausting. As soon as I got back to California, I went to Dreamforce. It’s a Salesforce conference in San Francisco that completely takes over the city. It’s a four day whirlwind of intensive training sessions, inspiring keynote speakers, Salesforce cheerleading, and concerts. Needless to say, there hasn’t been much time for cooking. The next few posts are recipes I made before all of that running around. Looking through the pictures makes me want to eat this food all over again. 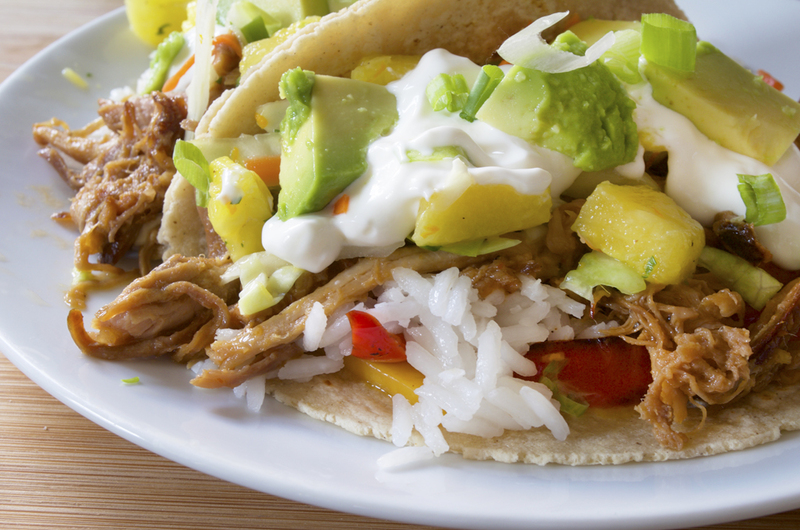 When I made this recipe I was really craving tacos and this really hit the spot. I can’t believe how fantastic these came out. Jason said it’s one of the best tacos he’s ever had and I definitely agree. I also want to make this coconut rice with every meal because it is so flavorful and moist. 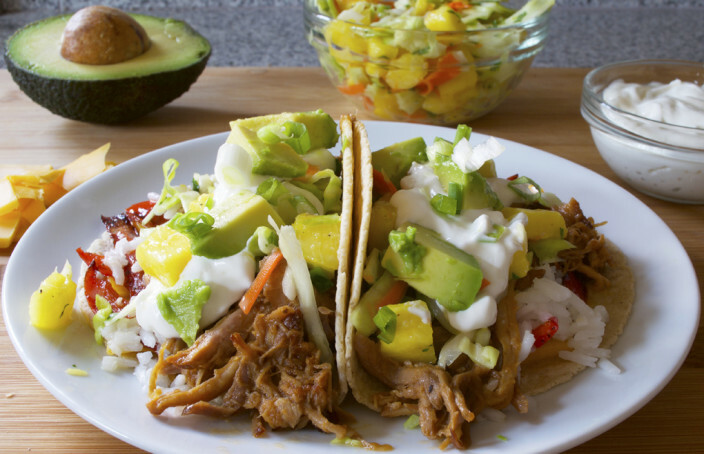 Thank you Half Baked Harvest for this perfect taco recipe! 2. Combine pineapple juice, ginger, garlic, brown sugar, soy sauce, ketchup, hot pepper paste and rice vinegar in 4-cup measuring cup. Whisk to combine. 3. Heat olive oil in a dutch oven over medium-high heat. 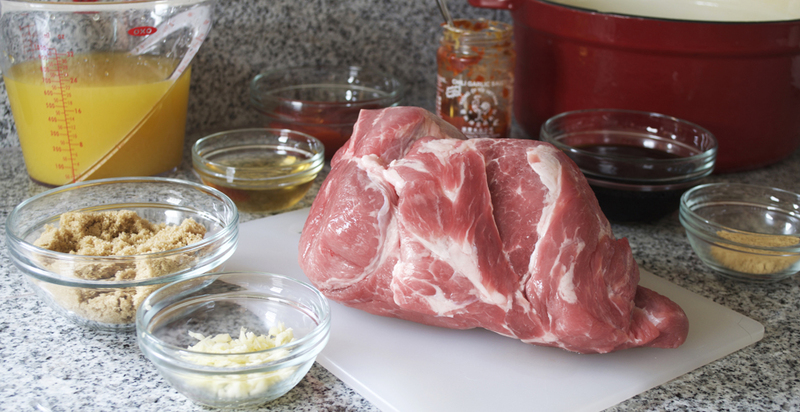 Season the pork all over with salt and pepper. Sear pork on all sides until golden (about 2 minutes per side). 4. Remove the whole pot from the heat and slowly pour in half of the marinade. 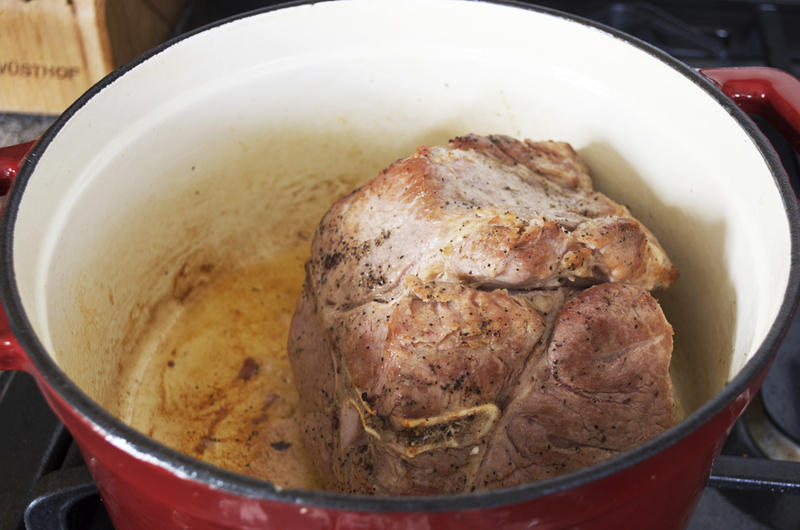 Place a lid on the pot and place in the preheated oven. 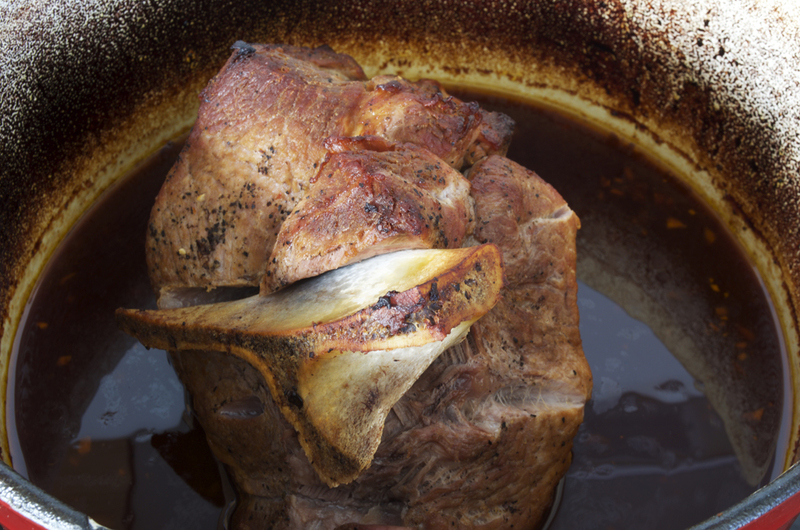 Roast the pork for 3-4 hours or until the pork is falling off the bone and shreds easily. 5. Shred the pork and add the remaining marinade to taste (I used about 3/4 of the remaining liquid). Heat on the stove until warm throughout. 6. In a medium size pot, combine the coconut milk and coconut water. Bring to a low boil and then mix in the rice, salt, unsweetened coconut and coconut oil. Turn the heat down to the lowest setting possible and cook for 10 minutes. 7. 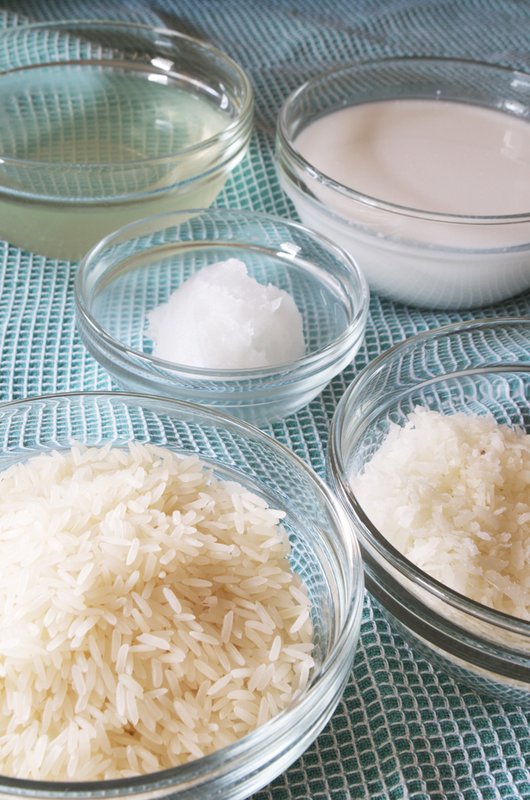 Remove rice from heat and let sit, covered, for 20 minutes. Then remove the lid and fluff the rice with a fork. 8. 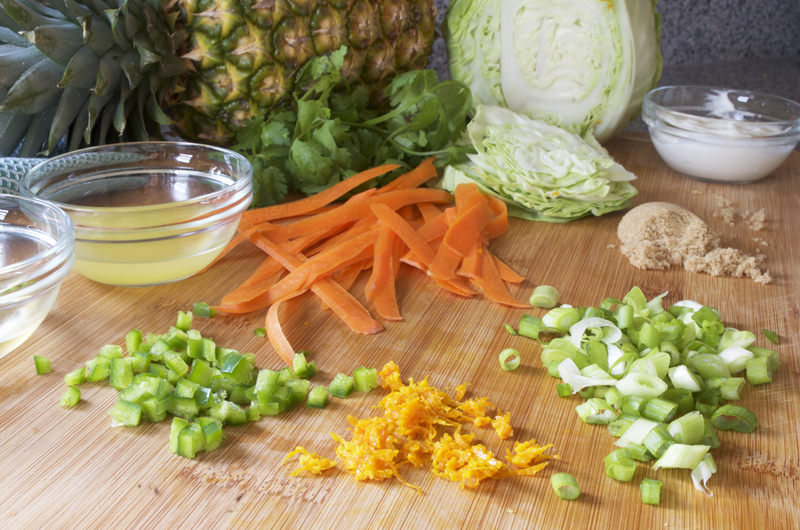 To make the slaw, combine the greek yogurt, rice vinegar, pineapple juice, brown sugar, orange zest, salt and pepper. 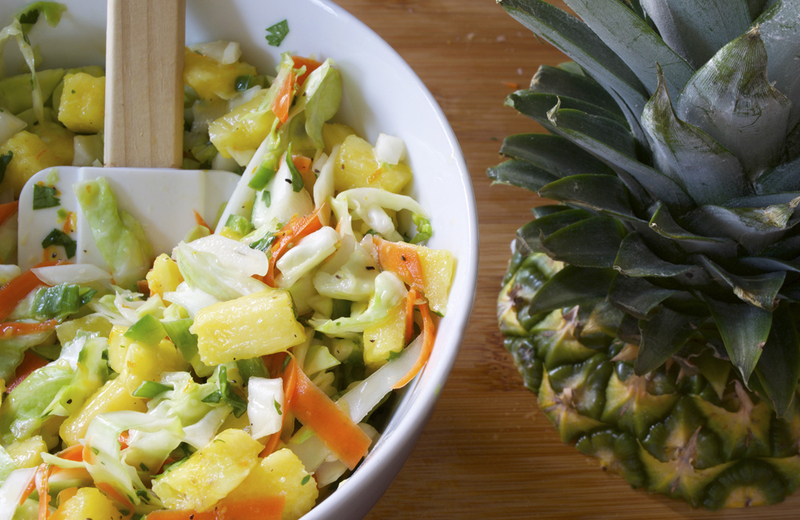 Add the cabbage, green onions, cilantro, pineapple and jalapeño. Toss well. 9. 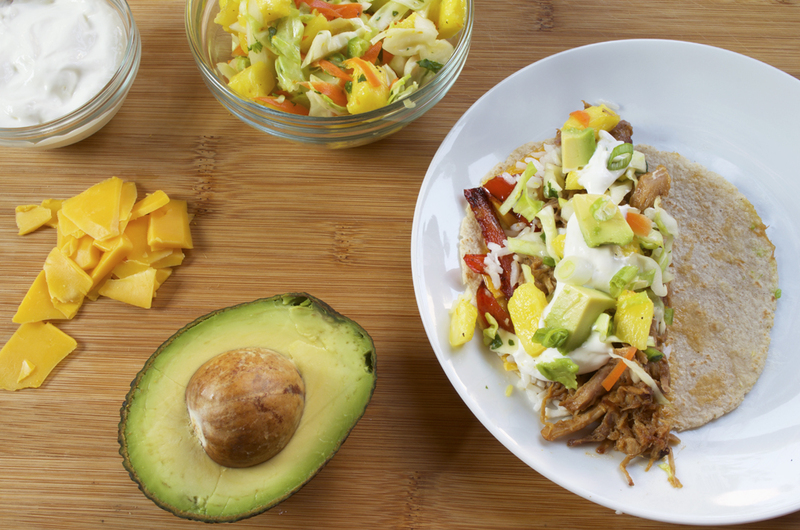 To assemble the fajitas, sprinkle a tortilla with cheese, add some rice, the pork and then the pineapple slaw. Sprinkle on the diced avocados. I’m Allison. I like taking pictures, cooking, and baking. 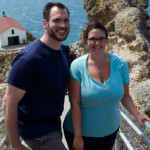 My husband, Jason, and I moved to California from the NY/NJ area in August of 2014. We’re starting a new life out here and so far it’s been an revitalizing experience! You can read more about why this page is called "Stills and Spills” in the first entry. Enjoy!